As a nurse, you work hard. Nursing often requires long shifts, working weekends, and even traveling. When it comes time to file your taxes, you want to make sure you're receiving as much compensation as possible in exchange for your hard work. That's why you need to know what tax deductions you can claim as a nurse. Nursing often requires purchasing clothing and medical equipment, taking continuing education courses, and traveling for work. Depending on how you choose to file, you may be able to save money on these types of expenses. 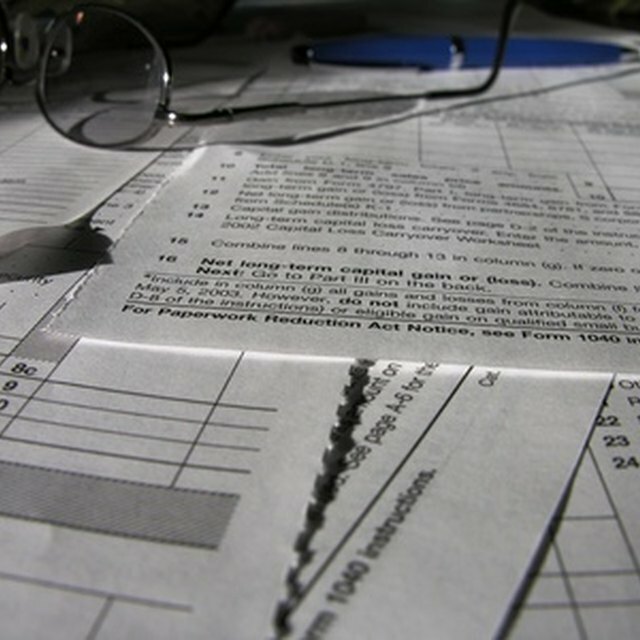 Keeping accurate paperwork can be crucial when it comes to reconciling your taxes as a nurse. Make a habit of keeping records of anything associated with your job. That might include receipts for uniforms and supplies, transcripts and tuition receipts for continuing education opportunities, and travel records for any work-related events. These records will be necessary if you decide to itemize your deductions when you file your taxes. To take advantage of work-related deductions, you will need to itemize your deductions, therefore forfeiting the standard deduction. Additionally, the IRS only recognizes miscellaneous deductions that exceed 2 percent of your adjusted gross income. Itemizing miscellaneous deductions may make sense for you if you plan to incorporate other large deductions, like mortgage interest income or large charitable contributions. If you don't usually itemize your deductions, keep your receipts anyway. An unexpected life event or employment change during the course of the year could render itemizing more practical. Nurses are often required to wear scrubs and other uniforms in specific colors, styles or brands. Not only are your scrubs tax-deductible, but so are your shoes, stethoscopes and other medical equipment. In fact, you may even be able to deduct the cost of laundering your nursing clothing. As stated previously, taking advantage of these, requires you to itemize your deductions when you file your taxes. Keeping your receipts and other records can help you quickly determine if your eligible expenses are greater than the standard filing deduction. It can be a good idea to create an account with your medical suppliers so you can easily determine how much you spent during the year. If you're a travel nurse, your taxes can be a bit complicated. As a private contractor, you'll need to keep consistent records of all of your work expenses. These not only include your general travel expenses like transportation, accommodations and meals, but may also include basic occupational expenses like union dues, continuing education, uniforms and medical equipment, license fees, and the costs of cellphone and Internet service. As a travel nurse, you'll need to pay taxes not only in your home state, but also in the states where you worked. This may seem like you are being taxed twice on the same income, but you will receive a credit for the income tax you paid in other states when you file your taxes in your home state. For example, if you live in Idaho and work in Arizona, you'll pay income taxes in Arizona during the course of the year. When you file your taxes in Idaho, you will be required to pay Idaho taxes on the income you made in Arizona, minus the taxes you already paid in Arizona. How to Claim Money That Is Made by Teaching Private Lessons on Tax Returns? Can I Claim Private Health Insurance Premiums on My Taxes? While education can help you further develop your career, for many nurses, it's also a requirement for state licensing. Nursing education that is required for you to keep your job is often tax-deductible. Additionally, even if you do not itemize your taxes, you may be eligible for a tax credit for educational fees like tuition and supplies. A tax credit is different than a tax deduction, in that it lowers the amount of taxes you owe rather than lowering the amount of income that is taxable. A common credit is the lifetime learning credit. This credit will give you a 20 percent credit on the first $10,000 you spend on qualified educational costs, up to $2,000. However, your gross income must be less than $57,000 per year to take advantage of the lifetime learning credit, and those whose gross income is more than $47,000 per year will receive a lesser credit.